Life is better with golf. Blue Devil Golf Club is disarming, deceptive, and devilishly crafted to challenge you to “give the devil his due.” Known as one of the best golf courses in Calgary, Blue Devil Golf Club is a unique and awe-inspiring golf experience that unfolds before you in the serene river valley of Fish Creek Park. 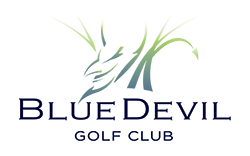 Blue Devil Golf Club offers the very best in Calgary golf with its rolling fairways and unique and challenging bunkers that you are going to love. Conveniently located in Chaparral Valley, Blue Devil is easily accessible from Macleod Trail, Deerfoot Trail, or 22x. TaylorMade’s & Trackman 4’s Launch Monitor Technology allows our Master Fitters to accurately measure a multitude of ball flight parameters including initial velocity, vertical/horizontal launch angles, spin axis, and total spin. Players see all of this data, as well as carry distance and total distance, in real time, as our Master Fitters gain the scientific data needed to recommend the correct fit for your game. From a selection of hundreds of custom and stock metalwood and iron shafts, as well as every clubhead TaylorMade has to offer is available to test on-site. Based on initial testing and the trained eye of a TaylorMade Master Fitter, players then hit a battery of shots to validate that they have correct fit. Using the latest in TaylorMade & Trackman 4 Launch Monitor Technology, launch conditions are then tracked, isolating the ideal spec, just like out on TOUR. Whether it’s one specific club, or an in-depth full-bag fitting analysis, our experts are ready to take your game to the next level. After the specs for your new equipment have been validated, the TaylorMade Performance Centre will ensure that your product gets ordered promptly, and built correctly. After you have received your new clubs, the service does not end there. 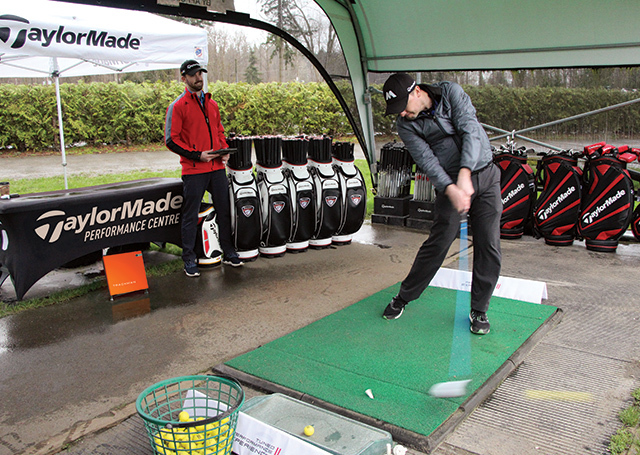 All TaylorMade Performance Centre clients are welcome to book complimentary follow-up appointments to check or adjust any specs as needed on their newly fitted equipment. 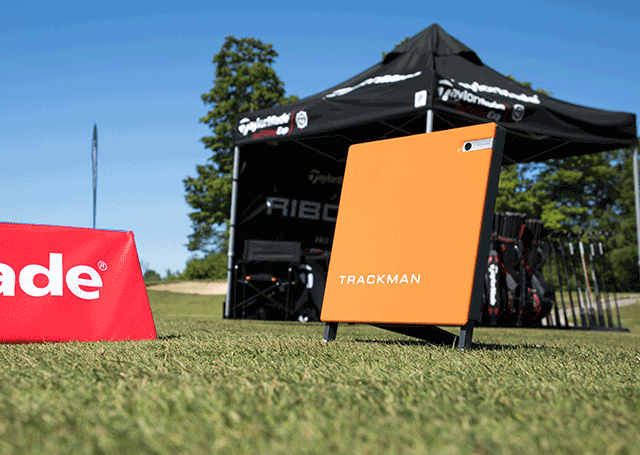 TaylorMade’s & Trackman 4’s Launch Monitor Technology allows our Master Fitters to accurately measure a multitude of ball flight parameters including initial velocity, vertical/horizontal launch angles, spin axis, and total spin. Players see all of this data, as well as carry distance and total distance, in real time, as our Master Fitters gain the scientific data needed to recommend the correct fit for your game. From a selection of hundreds of custom and stock metalwood and iron shafts, as well as every clubhead TaylorMade has to offer is available to test on-site. Based on initial testing and the trained eye of a TaylorMade Master Fitter, players then hit a battery of shots to validate that they have correct fit. Using the latest in TaylorMade & Trackman 4 Launch Monitor Technology, launch conditions are then tracked, isolating the ideal spec, just like out on TOUR. Whether it’s one specific club, or an in-depth full-bag fitting analysis, our experts are ready to take your game to the next level. 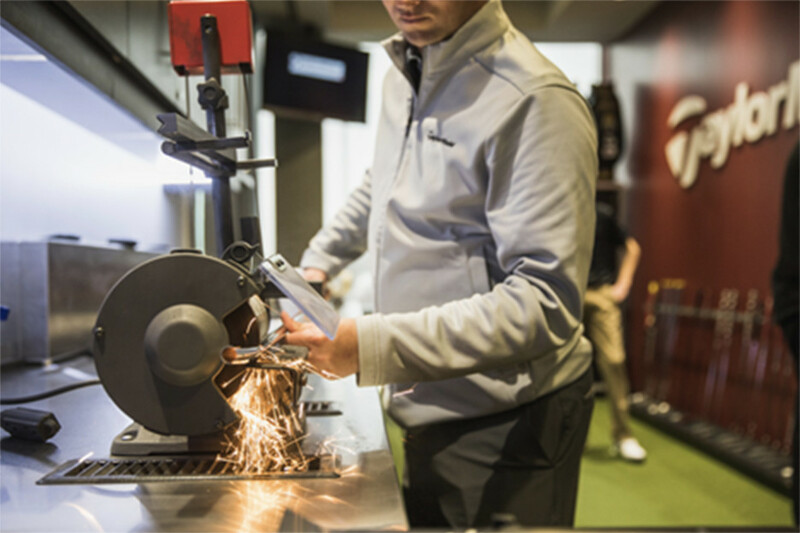 After the specs for your new equipment have been validated, the TaylorMade Performance Centre will ensure that your product gets ordered promptly, and built correctly. Working with our Authorized Retailers, our Concierge Service will assist in placing the order on their behalf, walking it through the building stages, and arriving to you with the fastest turn-around time in the industry. After you have received your new clubs, the service does not end there. All TaylorMade Performance Centre clients are welcome to book complimentary follow-up appointments to check or adjust any specs as needed on their newly fitted equipment. Our most popular fitting package is the Total Fitting Session. This session covers Metalwoods, Irons, Wedges, Putter and Golf Ball. TaylorMade understands the importance of a properly matched, and optimized set for each player, making this a can’t-miss experience. 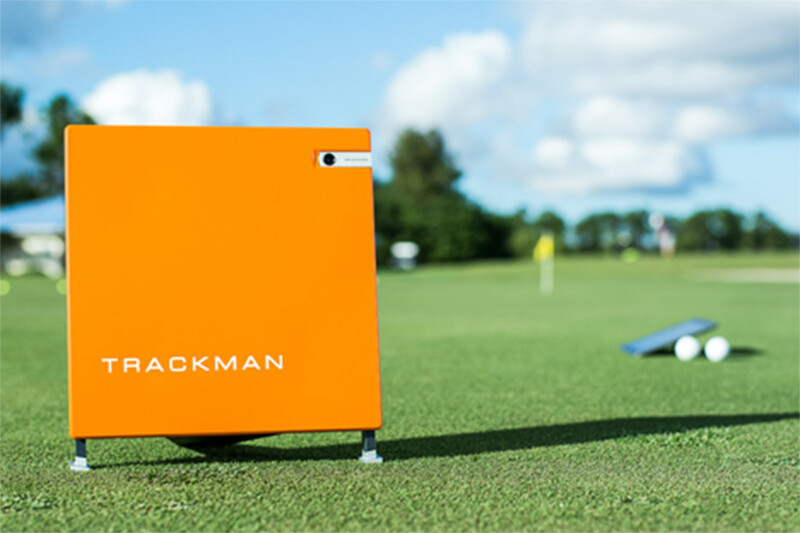 Using a Trackman 4 launch monitor, we can take a deeper dive into set make-up, which allows the player to have clubs all “work” with one another blending the feel of all golf clubs to be one in the same. Careful thought is used to match Driver to Fairway, Fairway to Rescue (if used), on to Irons, Wedges and Golf Ball recommendation, with the Putter being the last piece of the puzzle to be fit. The Metalwood Fitting is what TaylorMade is known for. Using a Trackman 4 Launch Monitor to capture all ball flight data and relevant swing dynamics, every aspect of Metalwood performance is analyzed to the finest degree. With hundreds of custom and stock shafts and heads to choose from, each player will leave this fitting session with the most optimized metalwood set possible. This comprehensive fitting ensures the best performance out of their irons. With over 500 different iron shafts in varying flexes, lengths, and materials, along with every head available from TaylorMade, nothing is left to chance. In this session the fitter will use a Trackman 4 launch monitor to learn how the correct set up of all variables will see them hitting more shots closer to the hole more often. Most all players understand how vital a solid short game is to low scoring, and while we can do a great job fitting wedge yardage gaps on a launch monitor, there is much more to it than full wedge swings. Wedge play is as much art as it is science, which is why we don’t stop at just distance gapping. 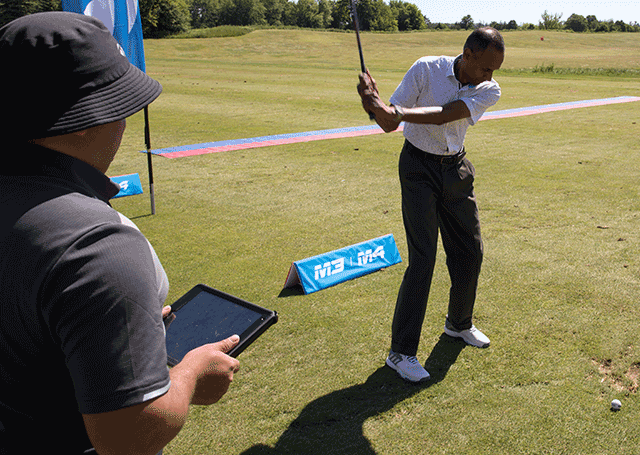 In this session, our fitter will take the player through testing on a Trackman 4 launch monitor, followed by testing for all other important aspects of the short game, ensuring the proper wedge fit.